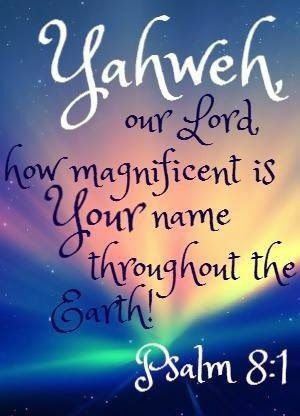 “O LORD, HOW EXCELLENT IS THY NAME IN ALL THE EARTH! PSALM 8:9 – O LORD, OUR LORD, HOW EXCELLENT IS THY NAME IN ALL THE EARTH! PRAISE THE LORD, LIFT UP HIS NAME AND GIVE HIM GLORY. I PRAY THAT I HAVE SAID SOMETHING TO ENCOURAGE SOMEONE. GOD LOVES YOU AND SO DO I. HAVE A BLESSED DAY!!! Categories "O LORD, HOW EXCELLENT IS THY NAME IN ALL THE EARTH!, OUR DAILY MEDITATION SCRIPTURES.